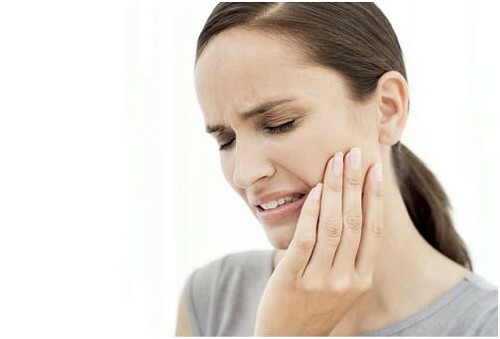 You might not feel that toothache is a serious problem but a person going through it knows how painful it is. Now a days it has become a common problem as people have busy routines and they forget to take proper care of their teeth. You can face tooth ache due to several reasons one of the most common reasons is due to having sensitive teeth, which are affected when you eat hot food and immediately drink cold water or drinks which causes a sudden twinge in your teeth. Tooth ache needs instant attention from your dentist, as it might be a symptom of a serious problem that could occur if you ignore it so it’s good to deal with it in early stages. On the other hand sometimes you feel a pain in your teeth when you bite something especially hard things like apply that might be due to cavity, tooth cracking, or inner core of skin might be damaged. Therefore it is very important to brush your teeth after having meals so that your teeth stays clean from the food particles that get stuck in your teeth afterwards. If you are going for a meeting or somewhere important and you suddenly have toothache you can take aspirin which is good to get relief from this problem. You can also bite a clove under the teeth that is paining it also is very good. You can also apply garlic in the same way as clove it can instantly help to get relief as well. Raw onion, or spinach leaves can also be chewed in order to get rid of the pain. You can also apply ice pack in the affected area.